!! !TREATMENT FOR CHARLIE IS NOT CURING HIM! 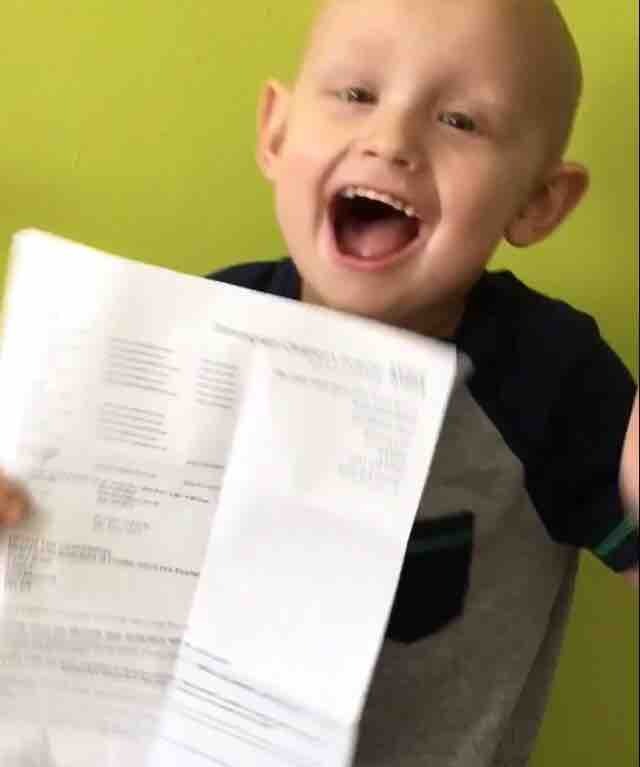 NHS HAS NO MORE CHEMOTHERAPY OPTIONS LEFT FOR CHARLIE! WE NEED TO GO CINCINNATI! PLEASE HELP HIM LIVE!!! 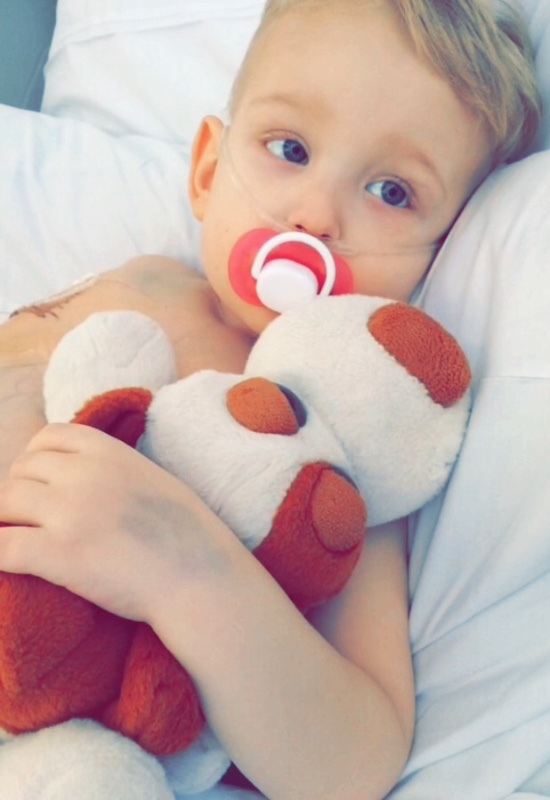 Charlie's memorise is now raising for private treatment abroad to give him a chance of life. For Charlie to travel to be given a second chance will cost $1.1 million. Which is approximately £855,580.00 in UK pound. Please help our baby boy live. I’m absolutely heartbroken to have to write this post. Myself and Charlie’s Daddy decided to keep this to ourselves until after the holiday. This last week has been spent telling family, friends and them having their time with Charlie. Now that ourselves and family have had some time to try and deal with this, it’s time we share with you.... The week before our holiday we spoke with Charlie’s consultant. His cancer is growing faster than we expected in both his liver and lungs. We knew if money wasn’t raised that this would be his last Christmas. Our last Christmas with our baby. We knew he would have his last ever birthday in April.. we planned it all and within 2 minutes of talking to Dr Brennan our world crumbled. How can a parent, who’s already planning the last few months of their child’s life, feel any worse?.. by hearing the words.. “He has 4-6 weeks of life left”. That’s how. This was nearly 4 week ago. 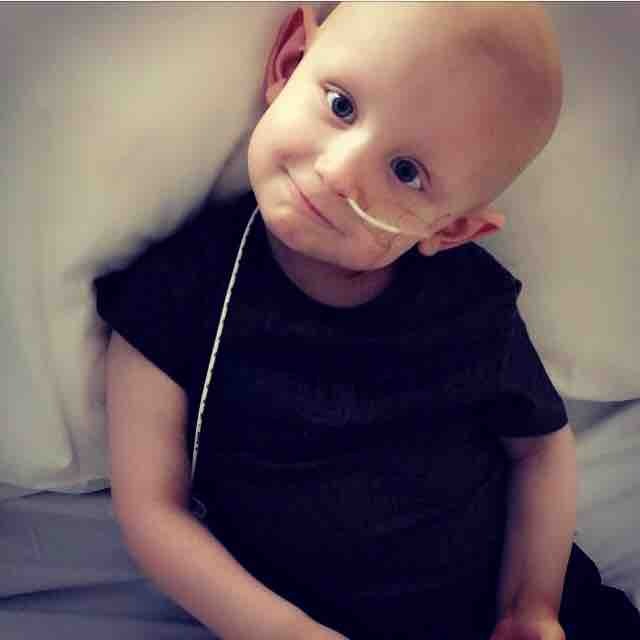 Charlie has 2weeks left to breath, 14 days to see the world, 336 hours to spend with his little sister, his baby sister he won’t get to see grow. You thinks that’s hard to hear? 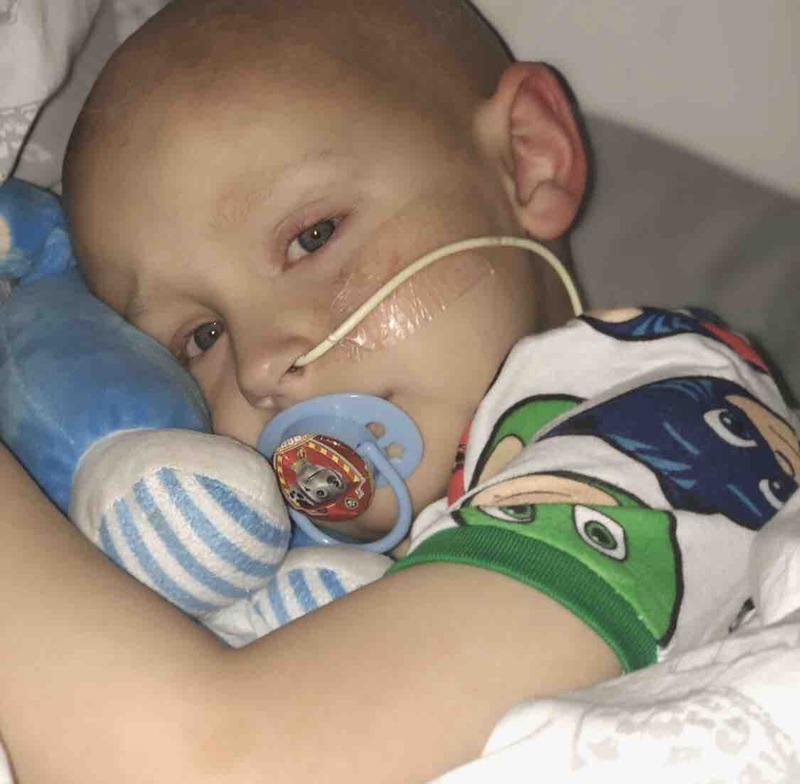 Try speaking to a Dr on the other side of the world who has hope for Charlie, who is confused why Charlie isn’t already cancer free, who has had cases WORSE than charlie that are now living normal lives. Charlie will die here. Fact! And very soon! If there was no hope I would come to terms with this and start to prepare but how can I when I know he can have a life! I’ve just spoke with Dr. Geller tonight and it breaks my heart each time! I cry to him. He wants us there next week. He WANTS Charlie in his hands. We want Charlie in his hands! Charlie NEEDS to be there! We need you’re help! I’m begging more than ever to donate as much as you can! Share this status to as many pages as you can! If you have a business page share it on there too! This is our last hope. We need to raise all funds THIS WEEK! I know £50 is A LOT of money but if everyone on this page donated that we could save Charlie! Not only will he get his life but imagine how you will feel knowing you’ve helped! Don’t hold back because you think others won’t!! Just donate!! donate what you can.. some can donate £1 and some can donate £100! 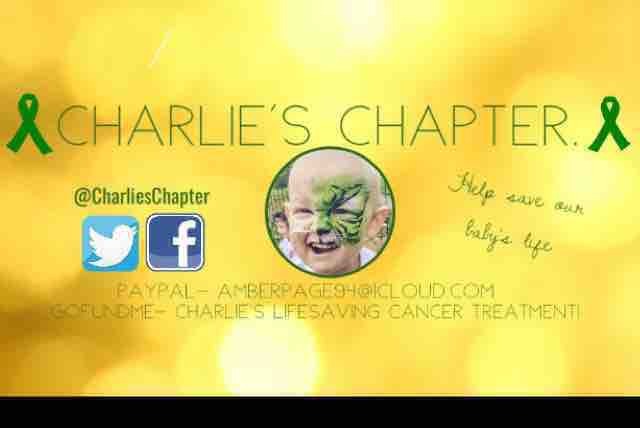 What ever you can spare please please donate it to Charlie!! I’m crying my eyes out right now, I’m a mess. I’ve to sit and watch my baby in pain, screaming “when will it stop” “oh no not again” “help me mummy” ... yet I’m not aloud to touch him due to the pain it causes! I’ve to sit helplessly and watch him scream. I beg you with everything I have to donate if you can’t please share to not only your page but to every page you can! With a heavy heart I have to now let you all know the deviating news. Saturday morning we received the cost estimate and with a liver transplant needed this time the price for charlies life, for him to have a future would be $1.1 Million. We realise we could never raise this in time and therefor are stopping all fund raising events. They are to much time and effort for a small amount of what we now need. The chemotherapy Charlie is on isn’t going to cure him, yes it’s slowing the growth down but it also makes him so poorly to the point it will kill him. Yesterday morning we woke up in hospital ready to get his new Hickman line. After a late night talk, me and Ben both feel it’s best to not put him through surgery for a Hickman line for something that isn’t going to help. As much as it tears our hearts to bits we have to face reality, we have to see what is best for Charlie. We know he would rather make some magical memories whilst he can than keep making him poorly with treatment that isn’t going to save him. Tomorrow me and Ben will be going to Manchester hospital on our own to pick up charlies end of life oral chemo that he will take at home. This won’t cure him but it will slow down the growth of his cancer with out the horrible side effects so he can still be him. We haven’t give up. We never will. We are trying him with home treatments and as much as we can to help save him but we have to try and come to terms with the outcome most likely to happen. WE HAVE A LIVER DATE!!! Yesterday morning we received the date for Charlie's Liver Surgery. The last 24 hours has been unreal, telling family the news just didn't sink in. Seeing it there in black and white was a mix of emotions. We have smiled, worried and cried. Finding out that he could have his liver done in the uk was amazing and exciting but actually having a date is the most scariest feeling we've had through this journey. We will be heading down to Birmingham Children's Hospital Tuesday morning for Charlie's pre op tests and meetings to make sure we understand what's going to be happening. We will spend the night in Birmingham hospital giving Charlie extra cuddles. Then in the early hours of Wednesday morning we will say our goodbyes as Charlie will be taken from us for surgery. The surgery can take anything up to 13 hours but the majority of people we've asked (who's children have had this) said around 5-9 hours. Please, please have your prayers at the ready. The morning of Wednesday the 17th will be the most worrying time of our life. Having to watch our baby prepare for theatre... Having to say bye and not knowing how long until we see him again... Waiting hour after hour for them to finish... Worrying something is going to go wrong... Being told they can't remove all the tumor... Going to see him in the intensive care unit attached to more machines that you can imagine... All these thoughts and many more running through our heads is breaking our hearts to pieces but at the same time we feel hope, positivity and like our life's are so close to being as 'normal' as can be. Thankyou to everyone who's followed Charlie on his Journey.. we can finally see some light at the end of this very long, dark tunnel... Unfortunately this isn't over and we NEED funds for his lung surgery in Cincinnati. Please, please donate, if not then please share as someone you know may want to..
Thankyou everyone for all you continuous support! It seems that some people aren't understanding Charlie's situation and are questioning how real this page is.. it's real. 1.2.16 was the day we got told they had found a tumor. 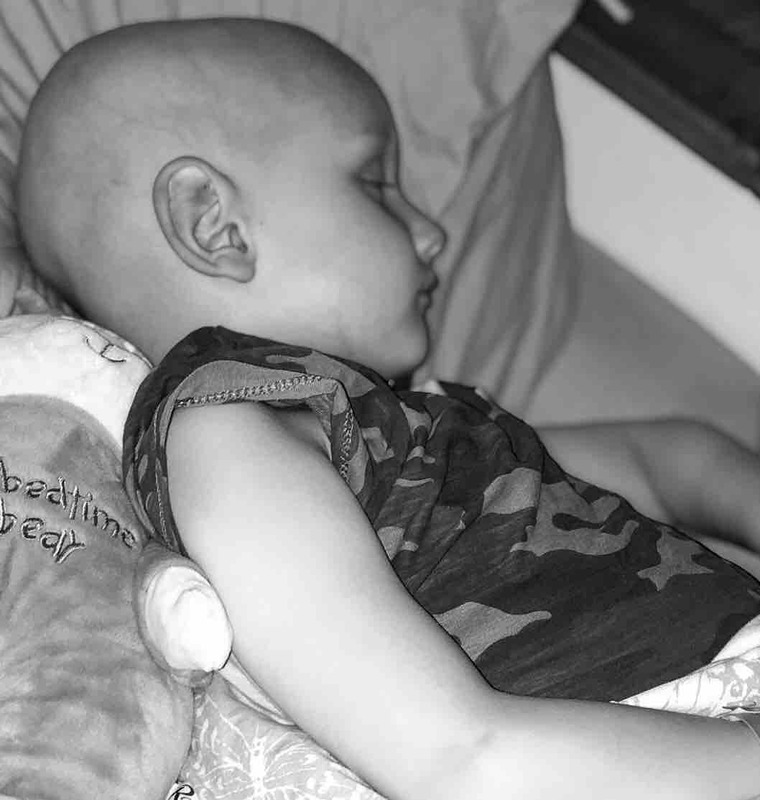 He was diagnosed with Hepatoblastoma liver cancer stage four. After liver cancer is diagnosed, the doctors will stage the disease. Staging is a process of testing and analysis to determine how far the cancer has spread. Once doctors know the stage of the disease, they can choose the most effective way to treat it. The cancer had not only spread to all four sections of his liver making him stage four but it had spread to both his right and left lung. However, his survival rate was still high at 60-90% becuase even though this cancer is rare (effecting less than 1 per million) it's very curable. In the 6 month plan Charlie would receive six rounds of chemo, a liver transplant then two more rounds.. then he'd be cancer free. They will test his blood for his AFP levels throughout treatment which will tell us if the cancer is increasing or decreasing. A normal child of Charlie's age (2 at the time) is 0-5. Charlie's AFP was over 1million. A very late diagnosis. At this point his survival rate dropped to below 20%. His consultant said in over 30 years of this job she had never seen this. She got second opinions from two different doctors in London and Glasgow. They all agreed on the next plan. This chemo is his last chemotherapy option. This is relapse chemo. It's not an aggressive chemo so it's not likely to attack the cancer as much as the first chemo. However, because it is weaker he can have more of it. He can have as much as his body can take. It's been known to stop working around the 7th round. Charlie is on his 12th round of this chemo. During his 4th round of chemo-2 his consultant suggested radiotherapy. There is no record of it being used on the lungs for hepatoblastoma dating back over 40 years. Not only is it a risk for a very unlikely outcome but there are huge risks involve, one of them being skin cancer. We took him to the meetings and he even got as far as being tattooed in 3 different areas. We refused this for Charlie at last minute as there is zero proof of it working. So at this point (6 weeks ago) his lungs look like a snow storm on scans, he can't have a liver transplant until they're clear, they have refused him for lung surgery 4-5 times due to the amount and size of the tumors and he's running out of time. Our decision to find the best Dr we could took off. With a name already in our head we decided to research more.. and we found Dr Geller. Dr Geller is well known with hepatoblastoma patients around the world. Saving their lives when their own countries couldn't. We see his name mentioned weekly on the hepatoblastoma page. We got in touch with him and told him Charlie's condition from start to present. He needed his files to confirm the treatment but there was hope of trails over there that could clear his lungs!! Then we could fly home for a transplant. So we sent the files over and started fund raising as soon as possible! The day Dr Geller received the files he rang us.. "why on earth is Charlie having a liver transplant?" We was so confused, as was he... "looking at these scans I can see he has more than enough liver to save, I'll have to send them to my surgeon for him to confirm this but I know he will ring back saying "WHAT!! Why hasn't this child had surgery months ago"... and he said exactly that. Dr Geller and his surgeon Dr Tiao are confident in the surgery. He said he will get his hands in there if needed. Charlie has a high chance of survival with surgery. Charlie never needed a transplant, he also didn't need the last 6 months of chemo. He could of been cancer free months ago. NHS didn't want to do the lung surgery because they wasn't confident enough, telling us it's a risky surgery for an unsuccessful outcome. Since being in touch with America, Leeds have offered to scan his liver again.. 4th April. I wonder if it comes back he no longer needs a transplant hmmm. It's hard to put our confidence in to the NHS now. Even if they say they can operate it's a question of why? Why now? Because America have said they can do it? There is a Dr Morland at Birmingham hospital who specialises in hepatoblastoma. His self and Dr Geller are in regular contact. Dr Geller has put us in touch with Dr Morland. If he and his surgeons are happy to do the liver surgery we would be happy to trust him. As for Charlie's lungs, he's been refused 4-5 times over here I 100% don't trust anybody other than Dr Tiao in Cincinnati. We are no longer flying over for trails, we are going to get Charlie the surgery that will clear him of cancer. The price of surgery hasn't gone up! We had a list of what Charlie would be paying for and we googled them. Liver and both lungs. We came up with an estimated cost but unfortunately we didn't consider other things we would need to pay for. The surgery room its self is thousands of pounds! Please know, if by any miracle a famous or rich person donates the full amount, if the doctor freely decides to help or any other possibility where we don't need the money then all of it will be given to the children we've met on the ward that need help to travel for treatment. We've witnessed children dying. Nothing can destroy you more than nurses (which have become family) with tears in their eyes telling everyone to go back to their rooms and then watching through the curtain at a child's covered body being wheeled out of the ward on a hospital bed. The child you smiled at that day! We don't need the money once Charlie is cured. We want our life's back to being as normal as possible. If anybody has any questions this is the post to ask on? It's heartbreaking coming on here and being told the page is fake, that we're conning people out of money, that this is not our child and everything else that's been said. It's amazing how many cancer experts there are too! Telling me I'm wrong about my own child's cancer? "He should be dead if he's had stage 4 for over a year!" Should he? Well he's not. Please ask any question that are not understood. This page needs to be clear on everything so people know who and what they are donating to. Thankyou to everyone for all your continuous support!